Many people may fall into difficult times due to a shortage of cash at some point during their lifetime. If you are one of them, then luckily for you, there are options available. Car Title Loans Alberta is a great option to get emergency funds with Instant Cash Canada. Get instant loan approval of up to $40,000 along with low-interest rates, flexible payment plans, and simple loan procedures when you loan with us. It is possible to also get a car title loan on the same day as long as all requirements are met. In order to qualify you will need to use a lien free vehicle as collateral for cash. 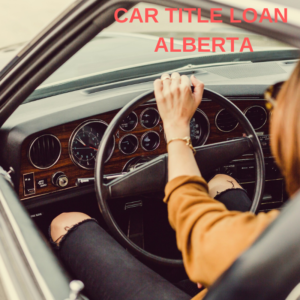 There are many reasons as to why Car Title Loans Alberta service is the place to go! Instant Cash Canada specializes in providing fast and affordable car title loans across Canada. The loan process is fully secure and all your information is kept confidential. There are no credit checks or job requirements. Our Professionals will provide you with the information you need to get your cash as fast as possible. There is no need to worry about a long loan process and better yet, you will also get the longest repayment term out there with easy installments. In order to qualify, you must have a vehicle with a clear title, a valid Canadian driver’s license and proof of permanent residency. Instant Cash Canada does not require any credit checks or employment verification. Our loan expert will explain the details of the loan terms and conditions, while your vehicle is being evaluated.